Train your dog using the SMART DOG Trainer app and remote training collar. Your smartphone is the remote that lets you communicate with your dog. Press the button on your phone to send a signal to the collar. Choose from vibration, tone, or 15 adjustable levels of static stimulation to get your dog's attention. Teach your dog better obedience for commands he already knows or keep him from getting into trouble. The training app makes it easy to train your dog to stop jumping, digging, chasing, and more. 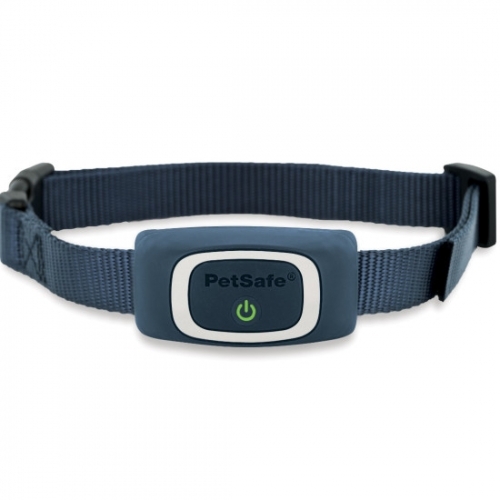 This rechargeable, waterproof training collar makes it easy to take your training on the go, whether you're hiking the trails or exploring downtown.